Son Pete takes some good-natured ribbing for his interest in fruits and vegetables. When he shops, he picks a Monday peach, a Tuesday banana, etc. based on when it will reach its ripeness perfection. 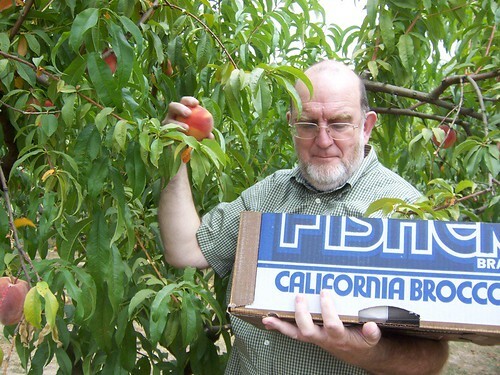 When Mauri found a book titled, “How to Pick a Peach,” he had to order it. 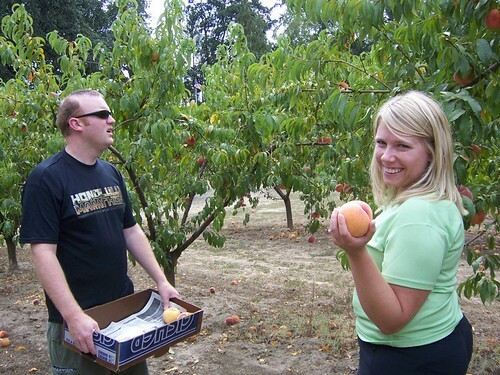 Today we got invited to join Pete and Linsey at Pihl Orchards to pick peaches! I’ll bet you didn’t know there’s an art to this activity. The trees were loaded, so we didn’t have to work very hard to load our boxes with $35 worth of fruit, enough for a pan of cobbler and lots and lots for the freezer.